CertainTeed Vinyl Siding pictures showing the many different styles that can be made using combinations of styles, colors and textures. 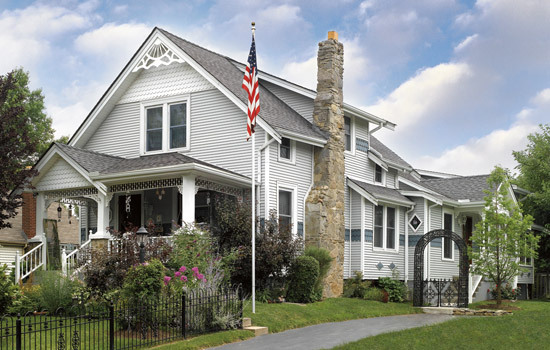 CertainTeed's Vinyl Siding is America's most popular siding. It offers an exceptional selection of affordable styles with outstanding performance. 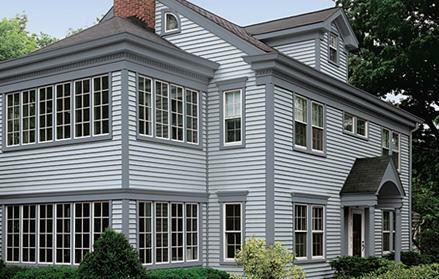 Shown here is CertainTeed's Monogram Double 4" Clapboard in Sterling Gray Accents. The trim is Cedar Impressions Double 6-1/4" Half-Round Shingles in Colonial White and Pacific Blue. Great use of three different types of CertainTeed vinyl siding to create a special look. On the top gables are Cedar Impressions Double 7" Perfection Shingles in Natural Clay. Monogram Double 4" Clapboard in Frontier Blend Color used as main house siding. Cedar Impressions 6-1/4" Half-Round Shingles used as trim. Windows, corners and trim are CertainTeed's Vinyl Carpentry Trim accessories. CertainTeed's Monogram 46 Double 4" Clapboard in Oxford Blue. To see more of the Monogram Vinyl siding click on link below. 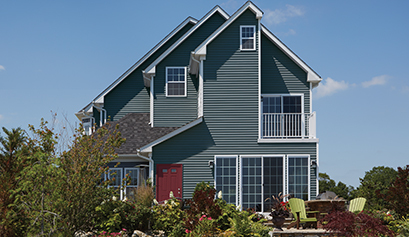 Certainteed vinyl siding comes in three basic types or styles and dozens of color options. Note how homeowner is using Cedar Shake siding on the main house and using vertical siding or board and batten on the garage. 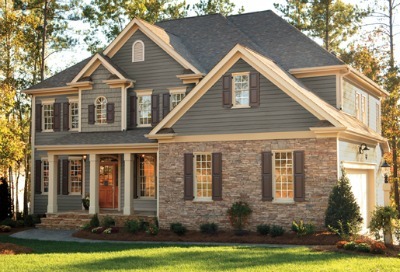 Lots of people combine vinyl siding types and styles to create their own look. 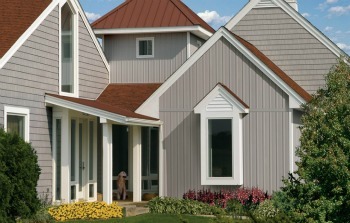 CertainTeed Vertical Vinyl Siding sometimes called Board and Batten Siding. Here Board and Batten Single 8" Siding used on the garage. Cedar Impressions Double 7" Straight Edge Perfection Shingles on main house. 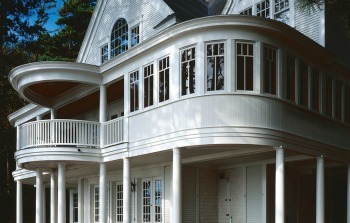 Restoration Mill-work Cellular PVC Trim adds to the overall aesthetics of this time-honored look. Board and Batten is when yo alternate wide and narrow cedar boards to create the look and feel of a bygone era. Certainteed vinyl siding pictures of vertical siding or sometimes called board and batten siding. Long planks running vertical gives a look of early colonial homes. Board and Batten, sometimes called vertical siding, is when you alternate wide and narrow cedar boards to create the look and feel of a bygone era. 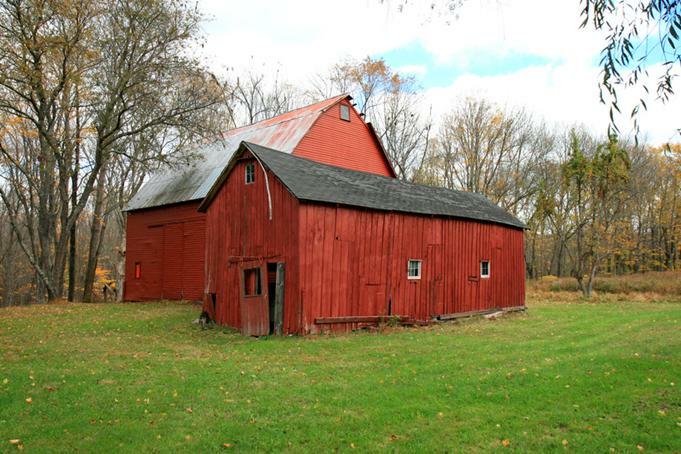 Sometimes called 'barn siding' because it was used so often over the years for barn siding. Want to know more about board and batten siding click here. 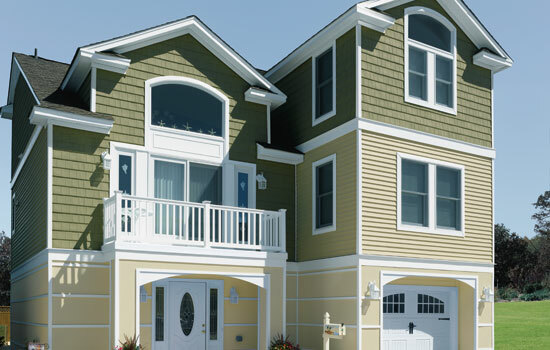 Cedar vinyl siding is an energy saving, foam backed siding with wood like texture. 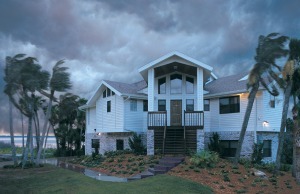 CedarBoards siding allows you to wrap your home in a blanket of energy savings. CertainTeed Cedar Board. Insulated at factor to provide added strength and thermal benefit. Great for areas where harsh weather, whether up North where winter winds are problematic or coastal areas where sun and high winds are trouble. Perfect for harsh cold winters. Adds great insulation and thermal qualities to your home saving on your energy costs over the years. Stands up against strong winds and hot summer sun, protection you can count on. CertainTeed Cedar Board Siding is used here with stone to create a natural rugged outdoor look. Perfect for setting your house apart from the neighbors. Note the different types, colors and textures used to create a one of a kind style. Careful use of horizontal cedar boards or clapboard style, and cedar shake siding. Windows and trim are also covered to greatly reduce maintenance and painting. 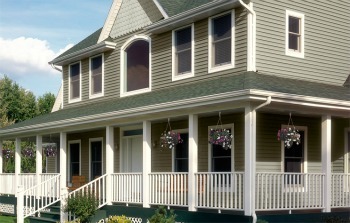 Cedar vinyl siding is a great alternative to real wood siding. It has all the look of real wood without the high cost of real wood. We would like to see your pictures. If you have before and after pictures of your home using CertainTeed vinyl siding, send them to us. We will post them here on this page. Have A Great Story And Some Good Pictures? Do you have a great story about choosing this product? Share it! Send us your story and picture and we will post on the web page. You can even commit on the stories and pictures. It's a great way to share your experiences with friends and others. Horror stories are great too! 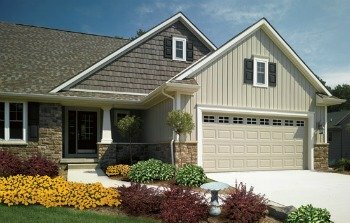 Maybe you will help others trying to decide which siding is best for their house. More CertainTeed vinyl siding pictures. Don't forget to send us yours! Every house looks better with new siding! 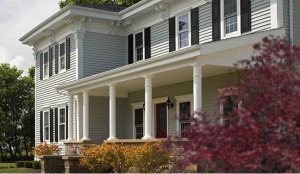 Certainteed vinyl siding can be used for restoration projects also. 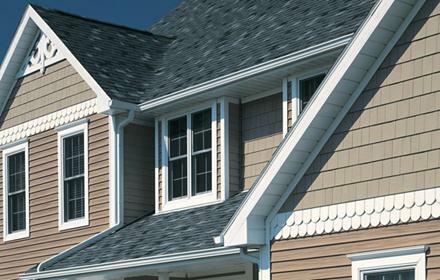 To see pictures of Engineered Wood Siding click here.